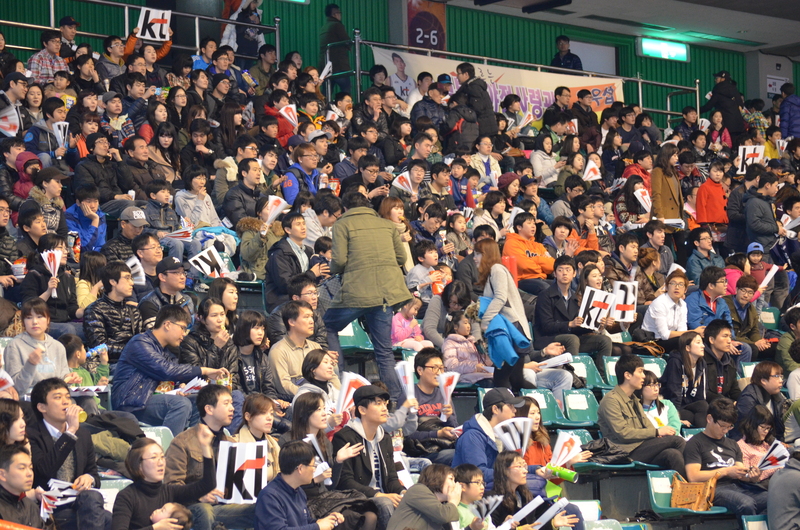 At the basketball stadium in Busan, we were greeted by an entire arena full of people chanting, in unison, “K-T, Sonic, BOOM!” It made us happy to come in out of the rain. The game was like any American professional basketball game — if the players never grew to be over 6’2″ and the score never reached 75. But the crowd, of which we got to be a part, was SO much fun. It was like a neverending party that everyone was invited to, and one in which everyone participated like it was the only one they’d ever get to attend. It reminded me of soccer in America. It’s not the most popular professional sport, but those that follow it are die-hard fans. Same-same. Luke missed the game to go to a water park with some friends. Natalie had the most fun, I think, just watching the crowd and learning all the songs and cheers, which were played one after another all afternoon long, and, for some reason, were in English. She smiled and laughed the whole time we were there. Garrett enjoyed the game itself, watching the players, studying them. What the Koreans lacked in height they more than make up for in quickness, agility and tenaciousness. They didn’t make it look easy, the way teams at home do. 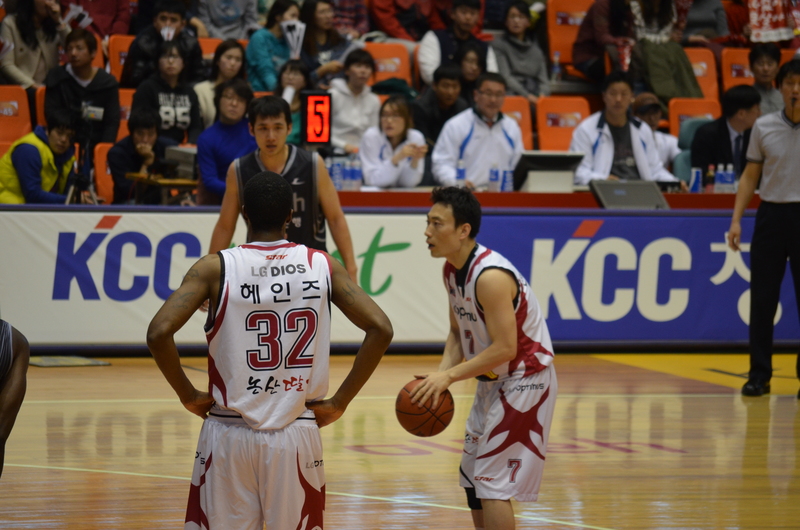 I love me some Celtics, but the Busan K/T Sonic Boom somehow made me appreciate how hard they were working. Without pretense. Without showboating. Without questioning the officials’ calls. With none of the attitude of entitlement. 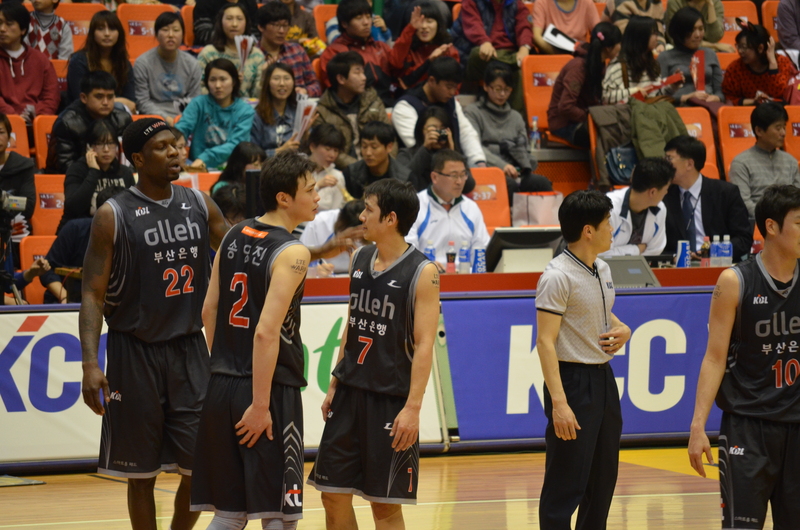 Interestingly, marketing and profit-making haven’t caught on in the realm of Korean professional basketball. Our tickets cost us the equivalent of $5 each. Noisemakers were free. There were no vendors, no kiosks, no people with snacks or drinks cruising the stairways selling anything. Even the small store that sold jerseys and basketballs, that had been open upon our arrival, closed at halftime, and stayed closed, with merchandise just sitting on the shelves. It wasn’t about making money. It was about basketball and dare I say it? The love of the game. And we loved it. Sounds like pure bliss! Enjoying every new story:) I don’t always comment, but I read them all and find a smile on my face when I see you have a new entry post. You have a gift… and I thank you for sharing this amazing adventure you are on. I really appreciate that, Kirsten. It’s hard to know if many people read the posts…but I enjoy writing them, so thanks! My God! It’s about time–hope it doesn’t take another 40 years to get this done. Sadly, it’s a little-known fact that Korea is actually about 50 years behind the west (in many areas), instead of the opposite. I am certain all the profiteers are on their way…I am glad to have been here NOW. Sounds like fun and the lack of “merchandizing” very refreshing.